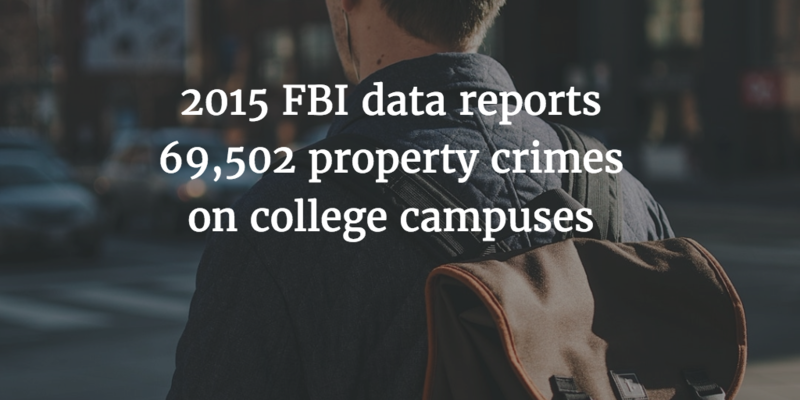 According to data from the FBI’s Uniform Crime Reporting program, there were 69,502 reported property crimes on college campuses in 2015. 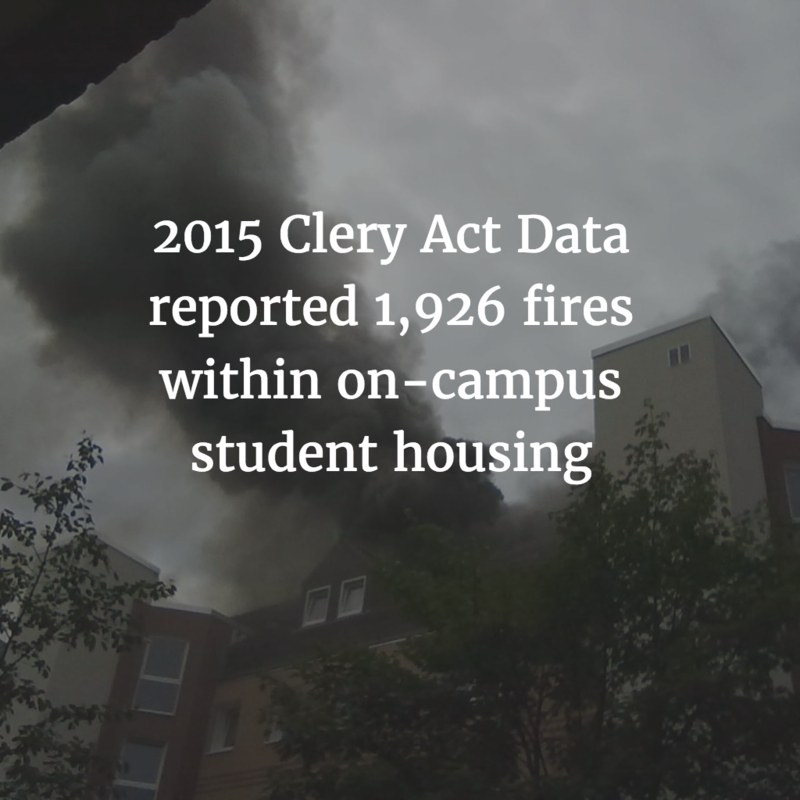 During the same year, Clery Act reports on campus safety reported that there were 1,926 fires within on-campus student housing. 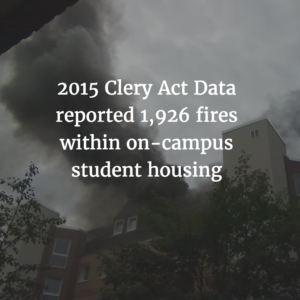 As a result, college families are smart to make-a-plan in case a student is a victim of theft, their property is damaged by a fire or water damage or if they are found responsible for damages they may cause. In fact, according to a survey by College Parents of America, a majority of state insurance commissioners recommend college students consider renters insurance. Can the student replace stolen or damaged personal property such as a backpack, bicycle or computer? – Renters insurance can replace stolen or damaged student property. Renters insurance can cover those costs and help students get back to classes, without the added stress of a financial loss. 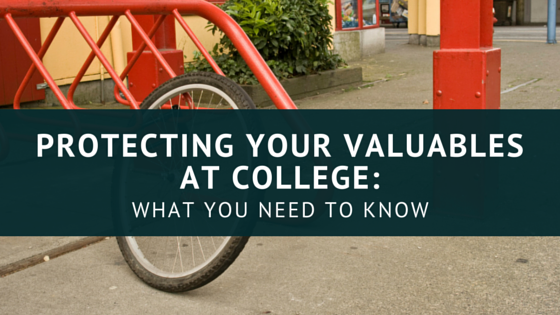 Does the college or university replace stolen or damaged property? 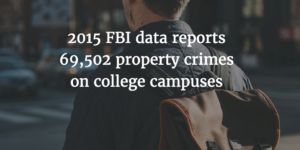 – In a 2017 survey of student housing leaders, 98% of schools report that they do not replace stolen or damaged student property. Be sure to check with the college or university to see what their policy is and how much money is at risk. Can the student afford to pay for damages they cause and are found responsible for? True renters insurance includes personal liability protection and can help pay for unintentional damages when a student cannot. “Some families may have some protection through their homeowner’s policy, but they are often subject to high deductibles and making a claim on a policy can result in higher premium costs. As a result, for about $.50 cents a day, GradGuard’s college renters insurance plan is an affordable and practical way to protect your student from an unexpected financial loss that could disrupt a student’s semester,” said John Fees, co-founder of GradGuard, an authority on protecting the investment of college students and their families and a leading provider of insurance programs to more than two hundred colleges and universities.